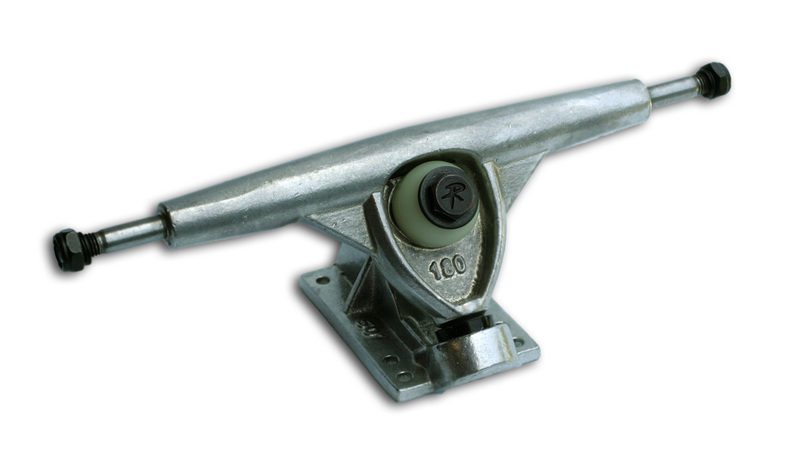 Discover durable American-made longboard trucks from Randal! 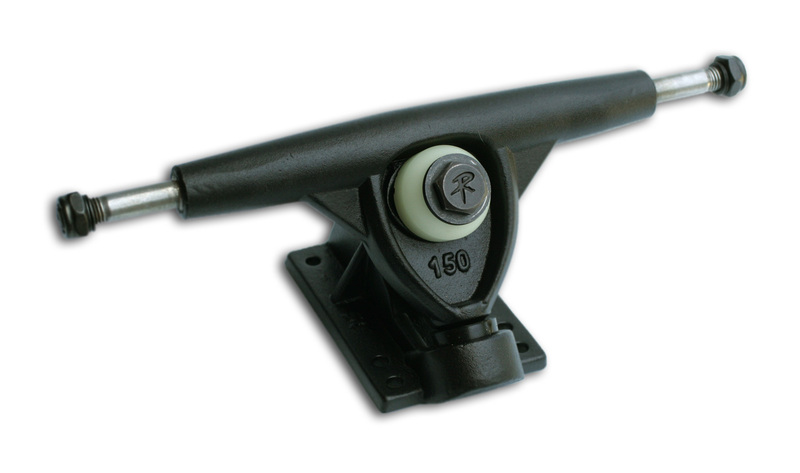 Black hanger, baseplate and wheel hardware fitted with kingpin bolt between top and bottom bushings. 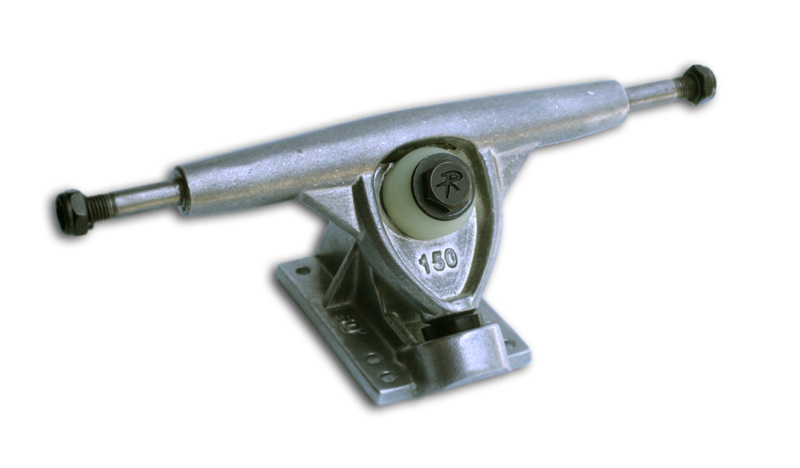 Raw hanger, baseplate and black wheel hardware fitted with black kingpin bolt between top and bottom bushings. 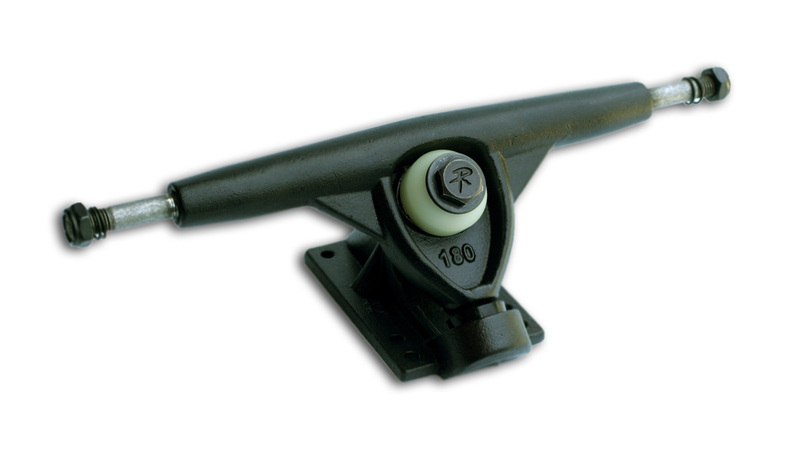 Black hanger, baseplate and black wheel hardware fitted with black kingpin bolt between top and bottom bushings. 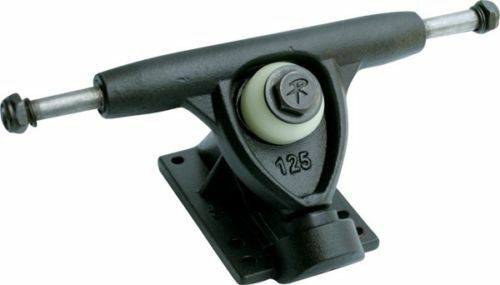 Red hanger, raw baseplate and black wheel hardware fitted with black kingpin bolt between top and bottom bushings. 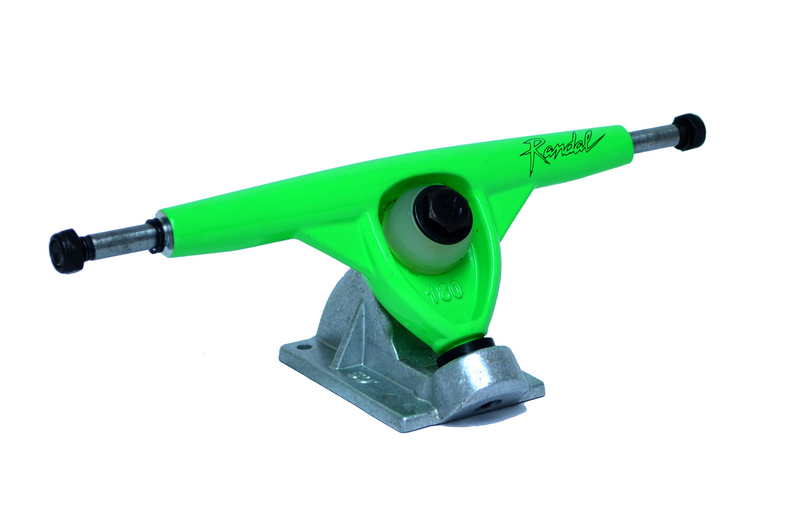 Green hanger, raw aluminum baseplate and wheel hardware fitted with kingpin bolt between top and bottom bushings. 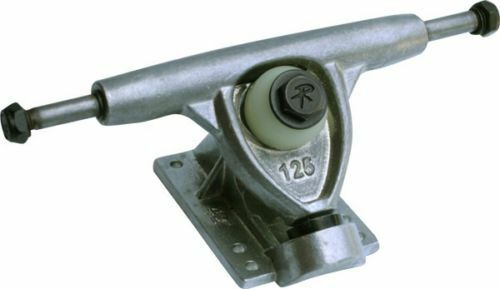 Metallic blue hanger, raw aluminum baseplate and black wheel hardware fitted with black kingpin bolt between top and bottom bushings.